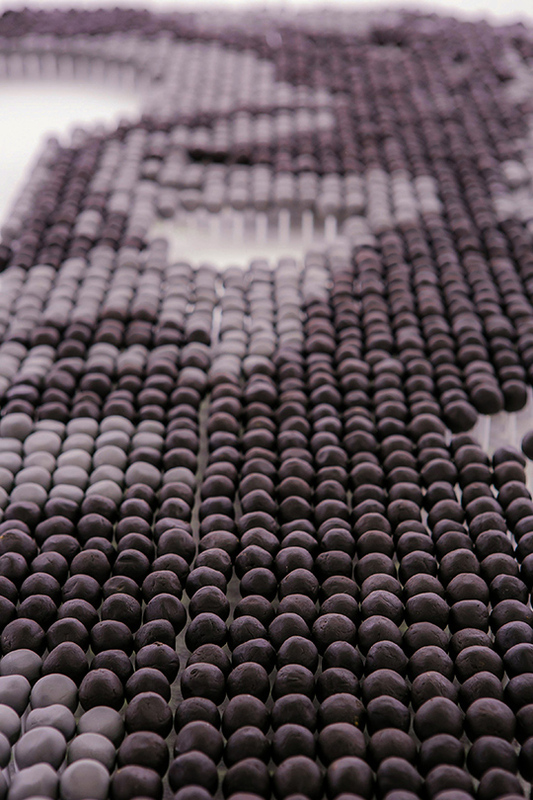 The scrumptious five foot by eight foot portrait was made entirely of Oreo pops - crushed Oreo biscuits mixed with Philadelphia cream cheese – each pop was handmade in different consistencies to create 2244 dark pops and 1536 lighter pops; an impressive 3780 pops in total! The full creation required eight hours of careful construction on the day and more than six weeks planning. 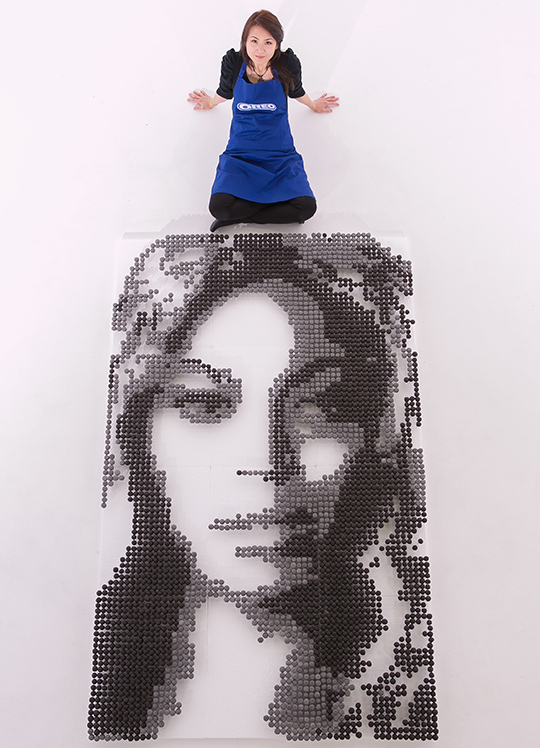 Food artist Michelle said: “When I was asked to create a pop icon portrait using just Oreo pops, new mum and superstar Beyoncé seemed the natural choice. 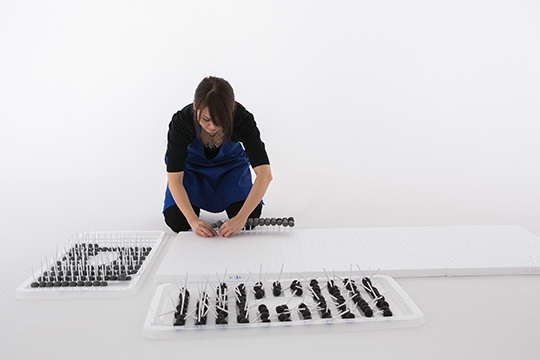 It took a long time to map the exact position for each pop and create a recognisable likeness, but the hardest part of the process was trying not to eat it! Impressive 3780 pops in total! 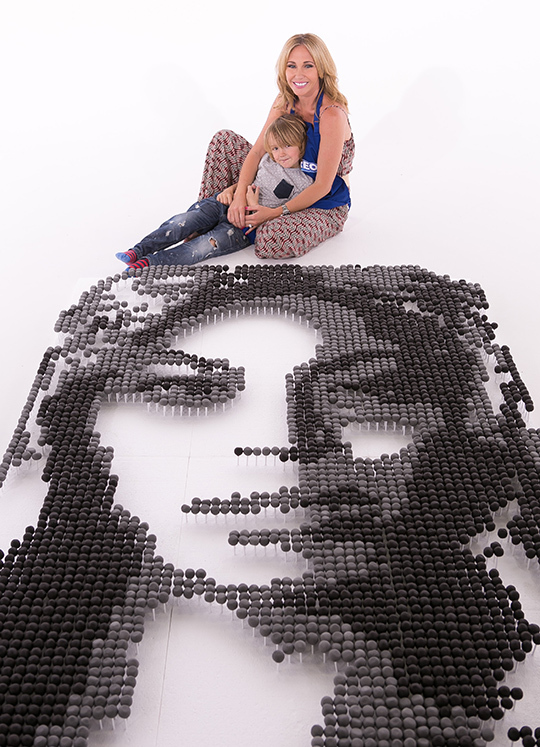 Former Atomic Kitten pop star, Jenny Frost and her son Caspar had fun helping to create the tasty A-list likeness as part of a campaign to inspire families to have more fun in the kitchen together.